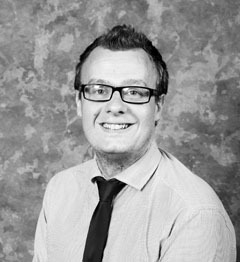 Adam Lancaster is an award winning Assistant Headteacher specializing in literacy. He also works an independent reading, library and literacy consultant providing organisations in and out of education with literacy programmes. This also includes providing specific training for school and library staff across the country to enhance the provision they offer schools. He is the founder of National Non-Fiction Day and llustr8or a visual literacy project working in areas of low literacy across the country. Adam is currently working on a programme to show the impact of reading for pleasure in schools and a number of dedicated interventions to improve reading. He is published writer of both short stories and education books. He is a published writer of poetry and short stories and run numerous creative writing workshops for adults and young people. He has degrees in Educational Studies and English and has subsequently gained MCLIP status from CILIP and is currently working towards Fellowship.